Since I have lots of time to spare, it's time for some DIY! 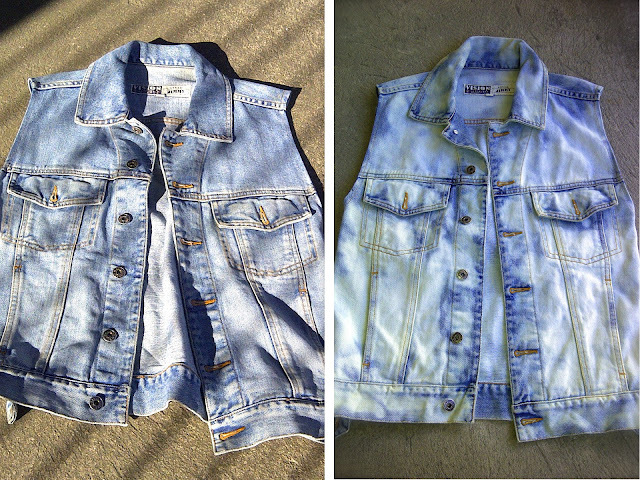 I have this denim vest for more than a year now and just recently, I sent it over to the tailor for some alterations. It is looking sad and drab now so I thought of giving some life to it by bleaching or acid washing it. But before I poured myself into doing the project, I searched the web for some tips to go with me. Warning: If you are planning to use your designer denim, you might want to rethink this because you might end up with a hot mess and hate yourself for sacrificing a precious gem in your closet. Instead, you can opt for your Mom's or Dad's old jeans or you can just buy at thrift stores. 1. Lay your garment on a flat surface that you won't get worried of bleaching like your garage floor. 2. 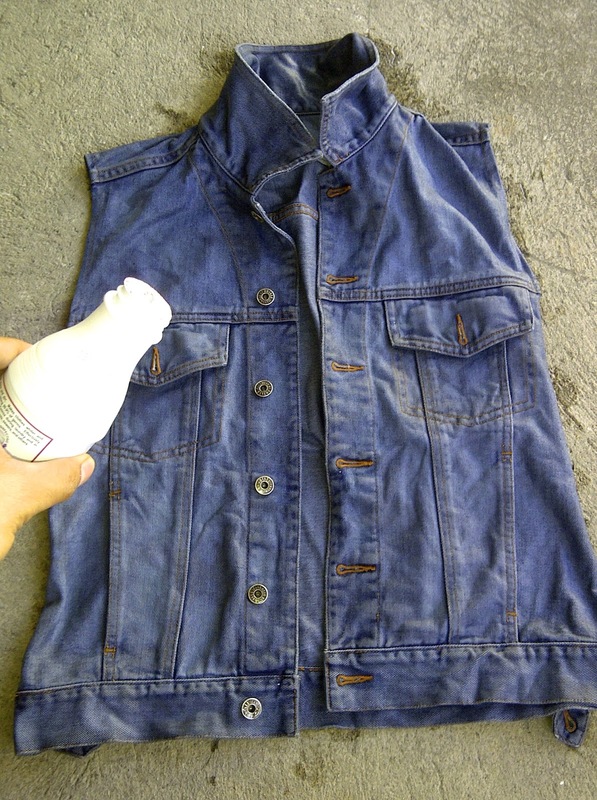 Wash the denim vest with running water. I used the hose to wash it. 3. Start splattering the bleach over the denim to your desire. You can use a spray bottle to get a localized spot bleach. Start with the front and then at the back. You can also put box boards to lay your garment to absorb the bleach and to prevent it from spreading to areas you don't want to be bleached. 4. 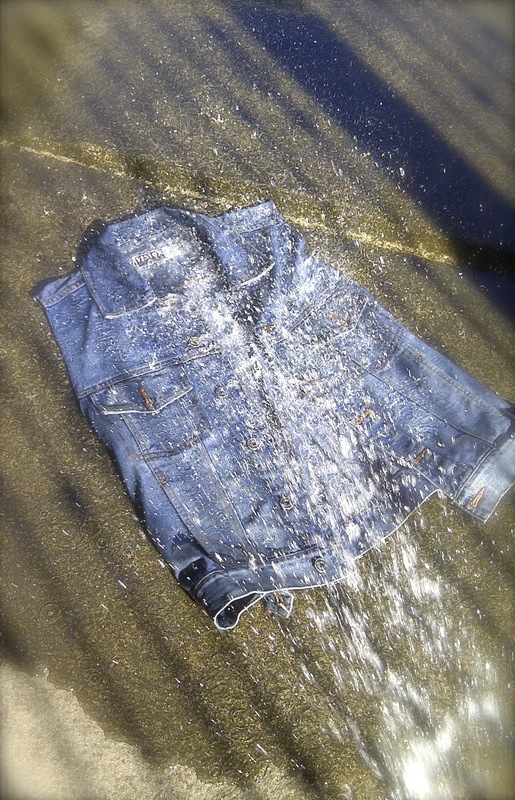 Let the bleach set into the denim for a few minutes. 5. 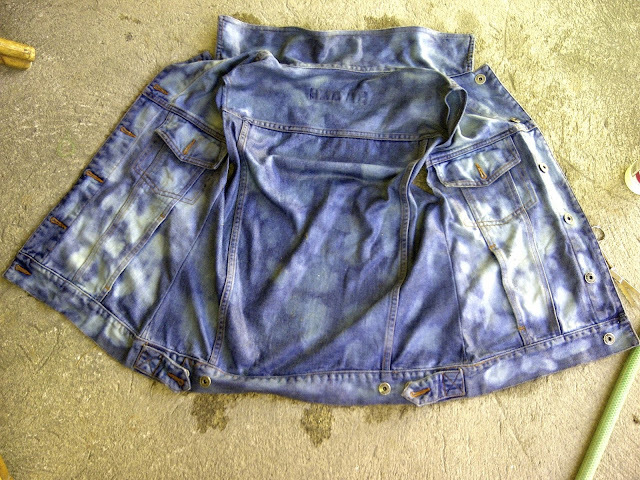 Once you got the faded look you aimed for, you can toss the denim into the basin and pour on cold water to halt further bleaching. 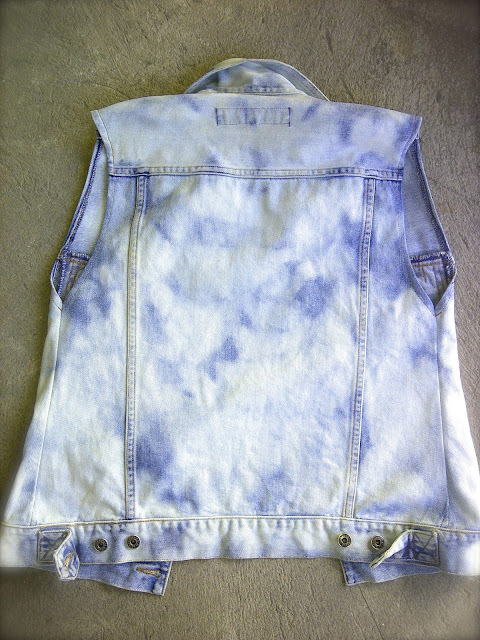 Afterwards, you can wash it and put some fabric conditioner. Let it dry. Voila! Your fresh and edgy denim vest! Seriously, nalilito ako, San ang bagong laba at hindi? Kasi para yung bagong laba parang may puti, natural ba yan? 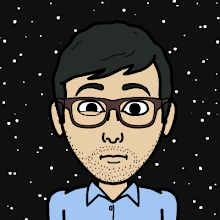 Hahaha, Sabi ko nga po. Pwede din kaso mahirap po yata sa washing machine. Hehe. Wow! This blog looks exactly like my old one! It's on a entirely different subject but it has pretty much the same layout and design. Outstanding choice of colors! I just set this up myself. Thank you for visiting! Really? Thank you for visiting! Thank you! 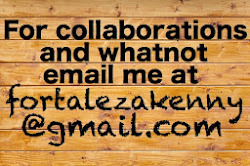 It’s a free theme from Wordpress. It looks pretty sleek.